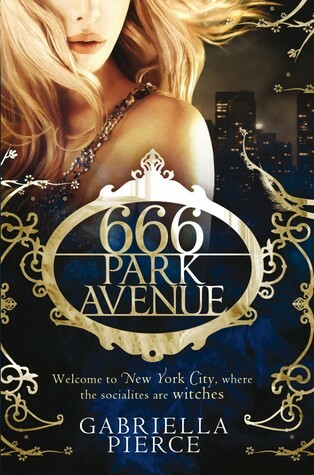 I wanted to read 666 Park Avenue because I'd heard that a TV series based on the book was being made, and Terry O’Quinn from Lost had been cast as one of the characters. Plus, these days, I’m all for reading the book before seeing the on-screen adaptation. But that’s just not going to be possible with this one for the moment. I'm not even halfway through! It's the composition that lets 666 down the most. The actual storyline is pretty good, which is probably why it got picked up to be a television series, but the way it's told is very much lacking. I get the sense that the Pierce was aiming for some witty, semi fairy-tale feel, but she has disappointingly missed the mark. At 40% through the book, I should care enough for the characters to move on, but I don’t. It’s taking too long and the writing style is just frustrating. I might try to read more of 666 Park Avenue when I’m in a more patient mood, but I’m sick of waiting for the story to pick up pace and evolve. Perhaps the TV series will encourage me to have another go? Rating: None, as reading wasn’t completed.